Grilling temperatures are one of the most hotly debated topics for grill masters, but the truth is that simply aren’t as complicated as they seem. Sure, you can cook your food up raw, bloody, medium, or well cooked, whichever of these you or your guests preferred, however, there’s an element of safety that simply must always come first. Each type of food you cook on the grill needs to reach a certain temperature, and at the same time, you must consider the different cooking times and other factors such as gas grill temperature, or colors of the charcoal. Let’s go over the basics. First of all, it’s absolutely essential that you invest in the right tools when you plan on cooking meat. 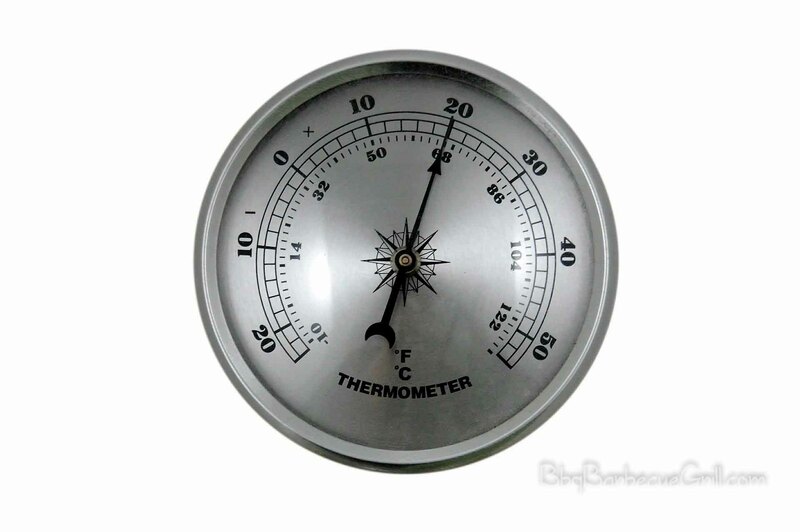 A thermometer is one of these essentials that you simply can’t grill without. There are brands that match your grill and there are others that you can buy from various companies. Get one or two of them, and use them religiously. You won’t learn if you don’t use these tools, and they’re needed so your technique can truly incorporate safe cooking times and temperatures in all of your grilling activities. Once you’ve learned how to grill each type of meat safely, you can always guarantee that you will always be able to make the meat as tender and tasty as you want. 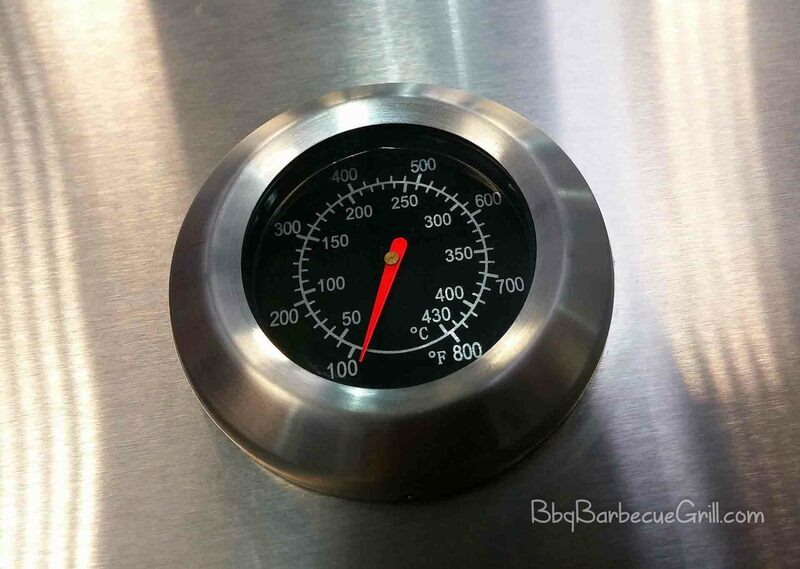 How Do You Use a Grill Thermometer Correctly? Insert it deep into the meat you are cooking, right in the center. Check it periodically for temperature, and when it’s heated to the minimum, it’s time to then cook it for your desired amount of time. Usually you will need to flip the meat once it’s met a certain threshold, so carefully remove the thermometer and then use it to measure the temperature on the second side. This is pretty easy to do and once you’re truly familiar with your grill, you will find it’s practically instinctual to find the right temperature for each cut of meat or poultry you’re cooking. When you’re using an electric grill or gas grills with controlled temperatures, it’s important to stick with the manual when it comes to grilling temperatures and cooking times. Grilling times will vary depending on if the grill is open or closed, and your manufacturer will know best for optimizing your final product. When you’re asking yourself “What is medium heat on an electric grill?” – it’s time to check your manufacturer’s user manual. Each electric grill is different, just as each gas grill may have different cooking times, and especially when you’re cooking with an open or closed lid. Familiarize yourself with ALL of your tools, including your user manual. Burgers are one of the things you can always get perfect after a few tries. They’re the one food item that will make your friends envious every time you cook out! Print this page out and cut this section for a handy burger grill time chart. For well done, it’s up to your own taste, usually a little longer than 5 minutes on the second side. Cook about 5 minutes on the first side, then flip and cook at a minimum, another 5 minutes on the other side. Chicken should be heated to 118 degrees Fahrenheit or a grill temperature of 48 degrees Celsius. There is no reason to cook chicken “rare” – all chicken should be cooked thoroughly due to food safety issues. Undercooked chicken is one of the most common causes of food poisoning. Steak can be cooked at a variety of temperatures, depending on your tastes. According to the FDA, the safest temperature to cook steak to is 145 degrees. Place the steaks on your grill and cook to golden brown. Rare/Raw/Bloody Steak should be cooked to 135 Fahrenheit (or 57 degrees Celsius) on the first side, 4-5 minutes, and then flip, and cook an additional 3 minutes or so. Make sure that the thermometer shows an internal temperature of at least 135 before you remove the steak from the grill. Plate it, but let it sit for at least 3 mote minutes before serving or adding any condiments. Medium Rare Steak should be cooked to 140 Fahrenheit (or 60 degrees Celsius), then flipped and grilled for about 5 to 7 minutes. Pork should be safely heated to 145 degrees Fahrenheit (63 degrees Celsius) at a minimum. Food safety is very important with pork; just as it is with chicken, so don’t try to cook it rare. Cook it thoroughly, instead. Pork chops should be cooked about 4 minutes on the first side, then flipped and cook on the other side for another 3 minutes. Chops can overcook and become hard easily, so don’t overdo it. Pork chops are also called “pork steaks” and you should cook them accordingly. Check your user manual for other pork times. Often, things like pork shoulders require a smoker, and use of wood chips, so it’s good to use the instructions from your manufacturer. You can learn to cook your favorite grilled and barbequed food on your own equipment in almost no time, if you stick with the above charts and double-check with your manual if you are using a gas or electric grill with temperature controls. 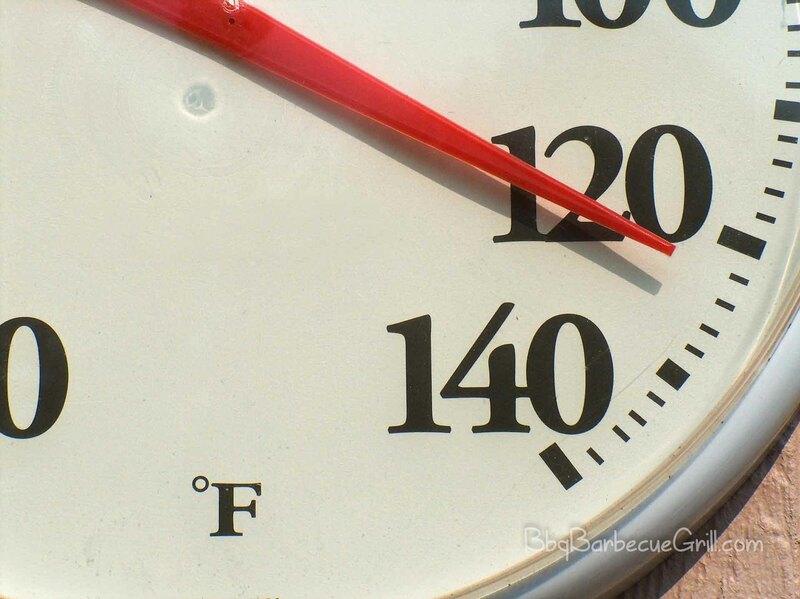 Cooking your meat or poultry thoroughly is important, so please don’t skimp on the thermometer. Use a meat thermometer whenever you’re trying a new recipe, and you will always get what you want out of your grilling or BBQ. Enjoy!